Point2 Homes gives you far more than a simple list of houses for sale. Get instant access to a lot of relevant information about Courtenay, BC real estate, including property descriptions, virtual tours, maps and photos. The search results pages also have a wealth of information on Courtenay, BC, if you scroll all the way down. There are 303 houses for sale in Courtenay, BC. 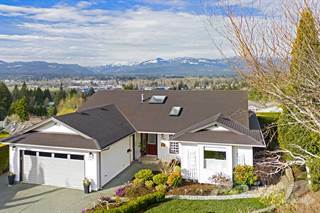 Searching homes for sale in Courtenay, BC has never been more convenient. With Point2 Homes, you can easily browse through Courtenay, BC single family homes for sale, townhomes, condos and commercial properties, and quickly get a general perspective of the real estate prices. Also, you’ll never miss a bargain if you filter listings based on house price drops in the past six months. Use the map view to find Courtenay, BC homes and apartments for sale, based on amenities or city features that you may want close by. You can close in on a specific neighbourhood or area by simply drawing around them with the polygon or radius tools. Stay informed about the latest entries on the real estate market by saving your searches. This way, you get new listings in your inbox, daily or every week, based on your preferences. If you’d like to get in touch with a professional, agents are displayed next to their listings, and they’re easy to contact through the online forms. 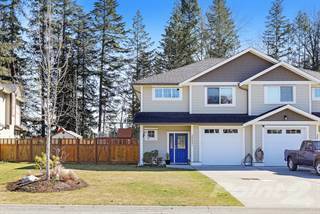 If you want more options, you can click the Tools tab and Find an Agent, and you’ll get a list of helpful and knowledgeable real estate agents in Courtenay, BC. Visit the Point2 Homes blog and you can find up to date expert advice on many markets throughout Canada, regular market reports, neighbourhood scoops in cities throughout the provinces, real estate deals and useful recommendations. Located on the east coast of Vancouver Island in British Columbia, Courtenay is the only placethat’s classed a “city” in the Comox Valley and is situated around 100 km northwest of Nanaimo. The city, which sits on the Strait of Georgia, had a population of 24,099 as of 2011, and covers an area of 26 sq. km. The population is made up of 90% whites, 5% Aboriginal, and 4.6% visible minority population. Courtenay was inhabited by First Nation people thousands of years before European settlers moved in. The K’ómoks First Nation community used the land for agriculture and its positioning close to the ocean made fishing and trading with other settlements possible. In 1792, Captain George Vancouver discovered the area and anchored the HMS Discovery in what’s now Comox Harbour. The earliest European settlers in Courtenay were coal miners from Nanaimo in the late 1800s, and they also worked with the First Nations people to do farm and labour work. Chinese and Japanese immigrants came to the area in 1888 when a coal mine was established in Union, and the town was officially incorporated in 1915. Courtenay enjoys an oceanic climate similar to the rest of Vancouver Island, due to its close proximity to the ocean. It’s relatively dry in the summer months and averages around the low- to mid-20s (oC), while the winters are typically quite wet. Because Courtenay is situated close to the mountains, it often sees precipitation from higher ground. Snow isn’t uncommon in winter too, especially when the Arctic winds roll in. While Courtenay’s economy once relied heavily on its natural resources – such as coal, fishing, and farming – it now focuses more on supplying services to its retiree communities and military families. The Canadian Forces Base in Comox is the largest employer in the area, and Courtney is home to the Canadian Scottish Regiment, an infantry regiment of the Canadian Forces which also has bases in Nanaimo and Victoria. Tourism and retail also form a large part of the economy, and the area has 4 local airports, the largest being Comox Valley Airport which is used by WestJet and Pacific Coastal Airlines. Courtenay boasts a great art and culture scene. Every summer, the city hosts the Island Music Fest which takes place in the Comox Valley and brings in a number of famous acts and guests from all over the province. Other festivals include Fiddlefest, the Comox Valley Highland Games, and the North Island Festival of Performing Arts. Courtenay is also known for the Comox Valley Youth Music Centre, which is a six-week long music program over summer. Courtenay is a popular destination for tourists from around the Island, around the province, and across Canada. Residents and visitors can enjoy a pleasant, outdoorsy lifestyle as there’s plenty of activities to enjoy. The city has a number of museums and art galleries, as well as exhibits that celebrate the First Nations communities. Its closest provincial parks include Kitty Coleman Provincial Park and Fillogney Provincial Park, where hiking and bird watching are common. Other nearby activities include skiing, whale watching, scuba diving, golf, fishing, kayaking, as well as winetasting at the local wineries. With big shops, malls, and restaurants, the Downtown core is a bustling neighbourhood in Courtenay and has a great heritage dating back to the 1800s. The Courtenay River runs through Downtown, and the area is vibrant and diverse. Located east of Downtown, this is a popular neighbourhood and is often the go-to area for newcomers to the Comox Valley. Courtenay East is close to the airport and has a number of malls and shops, as well as a hospital and other amenities. 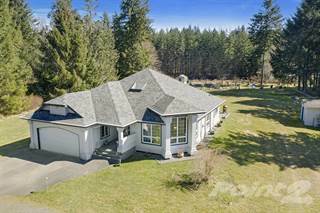 Much of the real estate is located on a hill overlooking Downtown and the Comox Peninsular, and popular areas include Aberdeen Heights, Mission Ridge and Mission Hill. Like many other areas around British Columbia, Courtney is enjoying a strong real estate market and has experienced record sales in 2016. The Comox Valley is seeing a property boom, largely driven by single-family homes and an influx of people moving to the Island from Vancouver’s Lower Mainland. Although the real estate market has seen an uplift, housing prices remain affordable. Low-range and high-range homes have seen an increase, so Courtenay is a great place to invest and a very desirable place to live. Courtenay has a number of public schools in the area, including 8 K-7 elementary schools, 5 secondary schools, as well as North Island College’s largestcampus, the Comox Valley Campus. The North Island College offers over 900 courses in a range of areas.